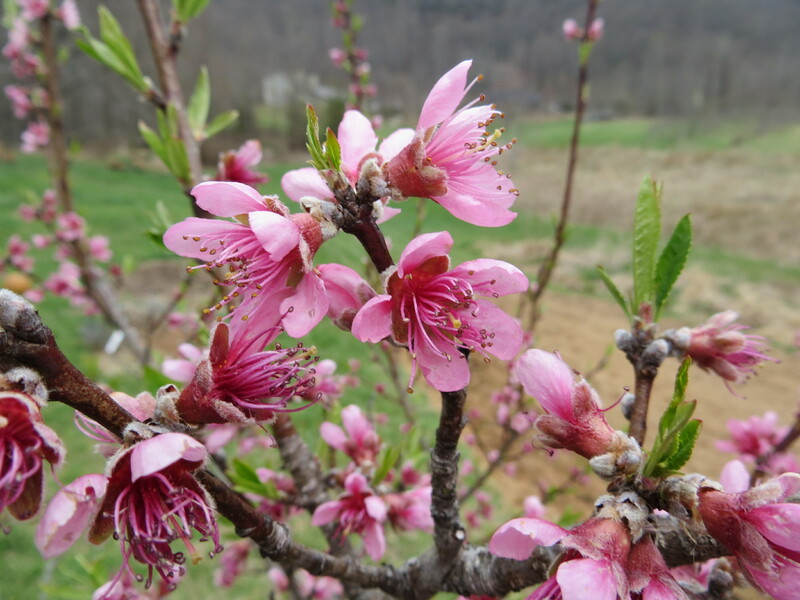 Last week, the pear trees, weeping cherries and ornamental cherries burst into bloom. 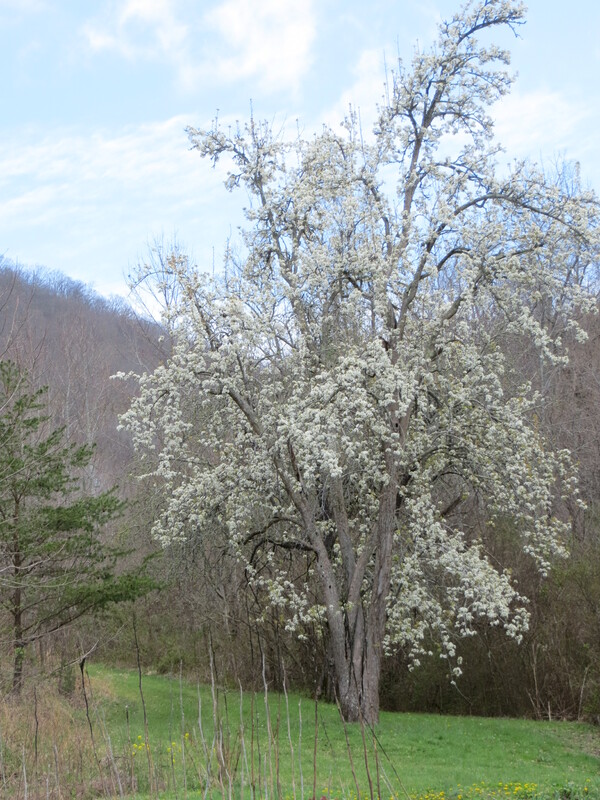 It was a beautiful surprise to come home to from spring break – it really felt like spring had arrived. 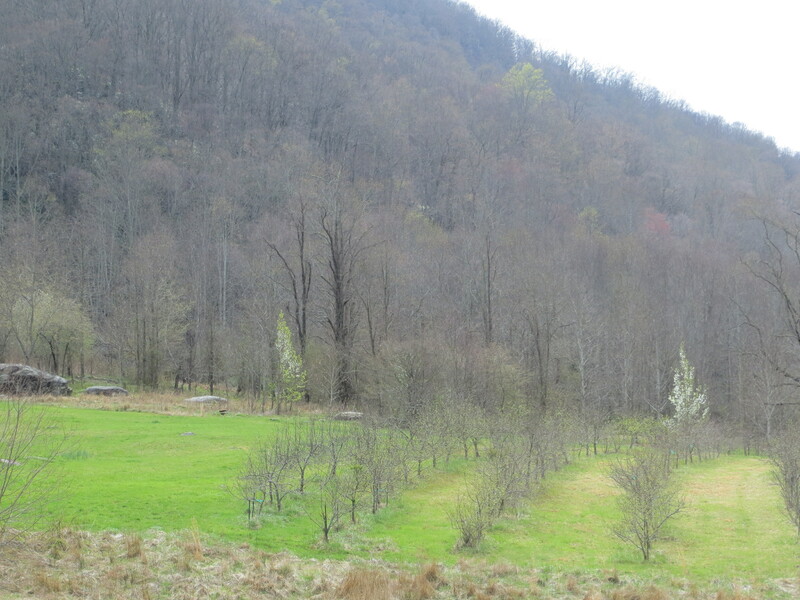 This week, there is a mist of green on the lower elevation trees. I’ve been mulching my garden beds for weeks now, pick-up truck-load by load, but getting them finished is becoming imperative if I don’t want to battle weeds all summer. 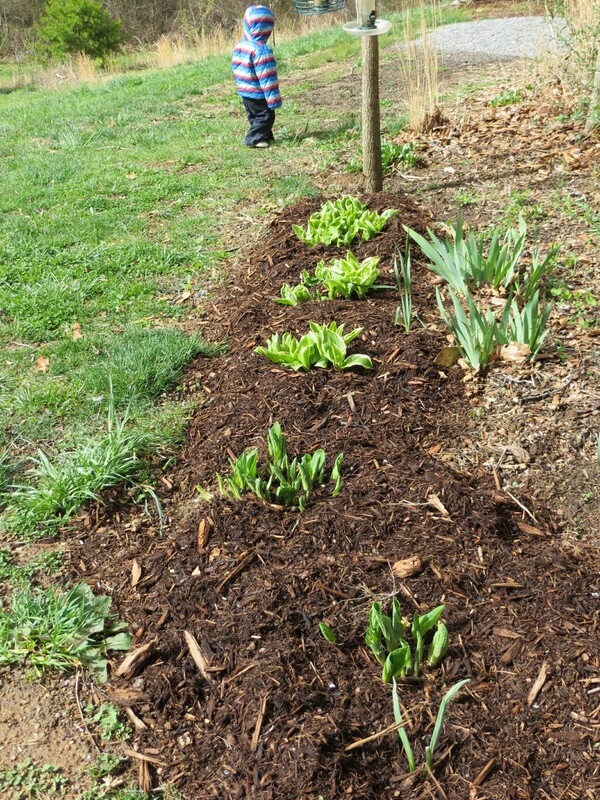 I’ve been able to spread mulch in between work and activities, but I love to do it when the kids are outside and I can work alongside their playful antics. I’ve started planting in my front flower beds – hopefully getting some bushes in that will thrive in the oddly warm (yet quite cold in winter), very sunny, kind-of dry space. 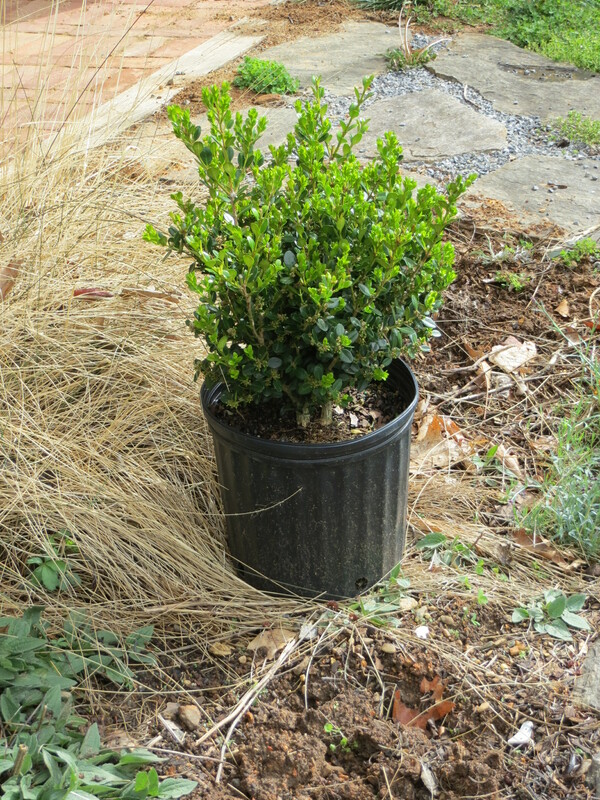 I am adding new plants (Ilex, boxwood, and St. John’s Wort bush) moving plants around, making room, dividing perennials – hoping to get it done by next week and before everything has grown too much. My awesome brother-in-law also plowed and disked our new garden space. 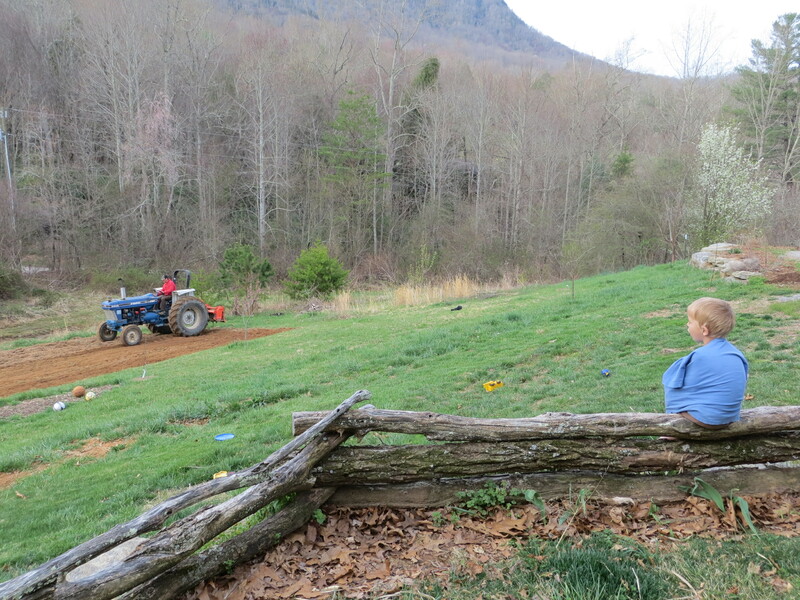 Then, William, tilled it (thanks!). 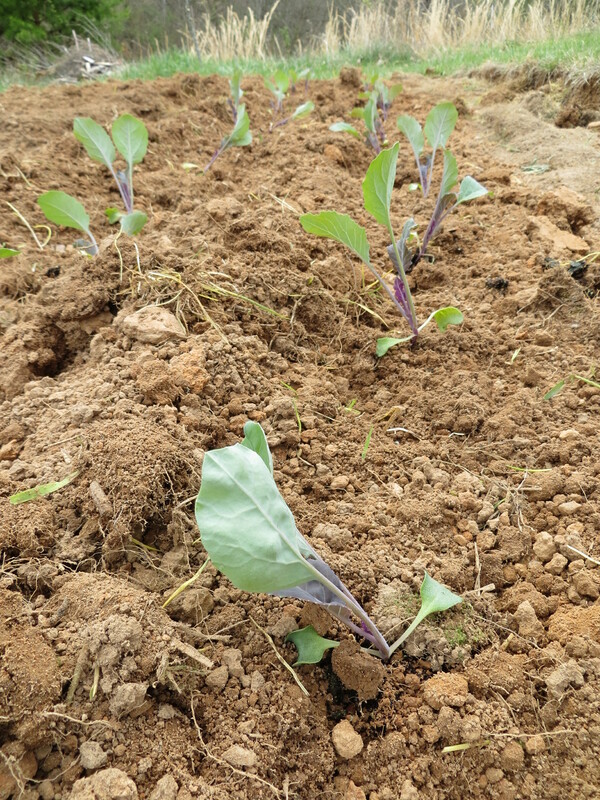 All that got done quicker than I thought it would, but just in time for me to plant my onion sets, some cauliflower (an experiment–should probably have waited till fall), and in time to plant potatoes which arrived yesterday. Good Friday is coming next week and tradition in this area (and with my in-laws who grew up here) is to plant beans and potatoes on Good Friday because even if they are knocked back by a late frost, they will “rise again”. So, next week, in go lots of potatoes and the first sowing of beans. I have high hopes of freezing beans and storing potatoes for the winter. Also, longings for fresh string beans and new potatoes for supper! The grass greened up a few weeks ago and has really started to grow. Which means the lawn mower had to get put in running order this past weekend. William is ready to start mowing! 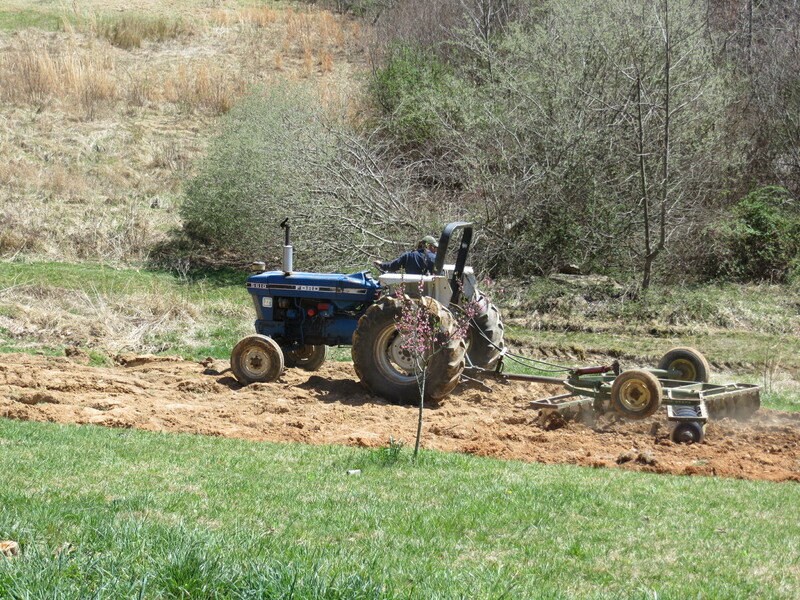 We have seen my sister-in-law and brother-in-law slowly get ready for spring on their farm, and now they are always busy planting, seeding, transplanting, weeding, plowing, disking, tilling. All of this to say, I think of this time of year as “the spring hustle”. Hustle to get the flower beds mulched, the lawnmower working, the lawn mowed (before the grass gets too high), the seeds started, the plants planted, the weeds pulled, the lime spread, the compost turned, and so on. It almost seems like the forest is doing the same, after so many months of doing visibly nothing, all of a sudden it is: bloom, leaf out, grow! The trees and plants are hustling to take advantage of the warmer temps and extra sunlight. For all the work, busy-ness and slight anxiety (will I be able to get it all done? will it freeze tonight? ), this is my favorite time of year. The mountains are at their most beautiful, in my opinion, in the next month or two. I get to be outside in the gardens and watching my children play. The light is beautiful and abundant – staying light till 8:30 now (thanks, Daylight Savings Time). The temperature is often the perfect 70 degrees. All that is so much appreciated after, what was to me, a long and cold winter. I welcome the “spring hustle”.